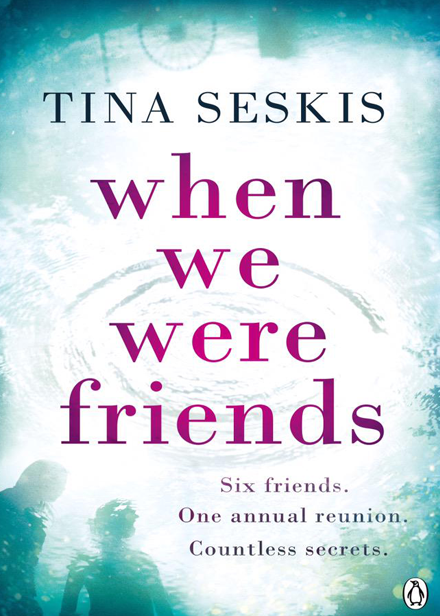 ‘When We Were Friends’ is the latest book by Tina Seskis. It had always been the six of us. Since we met at university twenty-five years ago, we’d faced everything together. Break-ups and marriages, motherhood and death. We were closer than sisters; the edges of our lives bled into each other. But that was before the night of the reunion. The night of exposed secrets and jagged accusations. The night when everything changed. And then we were five. ‘When We Were Friends’ was the first book that I’ve read by Tina and it was an awesome introduction to this new author, as her cleverly written story about secrets and friendship had me gripped from the very beginning. The story is about six women, who at one stage were all best friends and were there for each other during relationship break ups, betrayal and deaths, but as the years passed, the women all begin to grow and resent each other, as their lives turn out differently than they all had dreamt off. Reluctantly they all agree to meet up for a picnic and hope they have a nice evening together and put their issues aside, but instead the ugly truth and arguments happen and only five of the women return to their homes. The six women are complex and intriguing, Juliette is finding things hard, her marriage is falling apart and her children hate her. Natasha likes to have everything under her control but like Juliette, her marriage is also in trouble. Renée never settled down, after an incident in America, she prefers to be alone. Siobhan is petulant, a grown woman with a tendency for having outbursts, she is the most outspoken of the group and a rarely thinks before speaking. Camilia is the peacemaker and mummy of the group and hopes that this time together will result in them all being friends again and finally there is quiet and meek Sissy, who lost the love of her life, heartbroken but determined to be strong for her children. Perfect for fans of Liane Moriarty, and with an intriguing cover, ‘When We Were Friends’ is a captivating story about friendship, packed with drama and deceit, the tale is skilfully written with unexpected twists and turns, that will leave the reader shocked. I couldn’t put it down and will most certainly be looking into other books by the author. 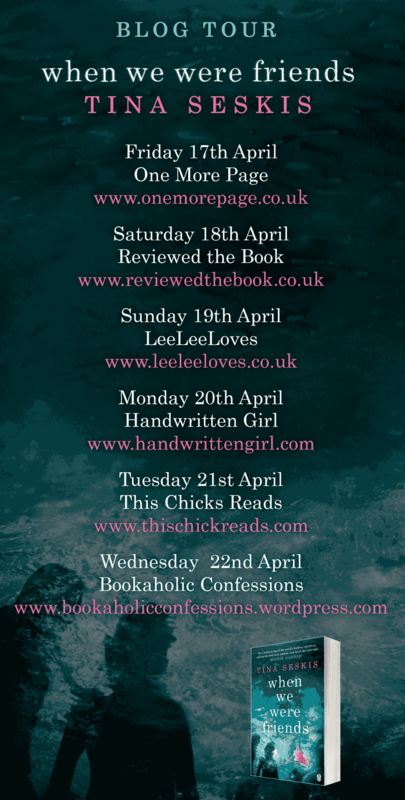 As Handwritten Girl is part of the book tour for ‘When We Were Friends’, author of the book, Tina Seskis tells us about the background of one of the main characters of the story Juliette. Juliette is the beautiful one of the group, with lake-green eyes and extraordinary cork-screw hair the colour of ginger biscuits. She is fragile and delicate, the kind of person everyone always tries to look out for, and she and Renee in particular made a very close bond at university. Juliette is from a small village in Berkshire and on the surface of it she had a lovely upbringing with doting parents, who bought her a pony and gave her everything she needed materially, and who loved her with all their heart. But Juliette discovers a secret when she is nineteen that eats away at her, and she becomes increasingly hard and bitter over the years. After university she marries a boorish man called Stephen, although she never really loves him. When they go on to have three children she finds that, despite living in a lovely house with an abundance of domestic help, she is a useless housewife and mother, and her middle son Noah seems particularly affected. 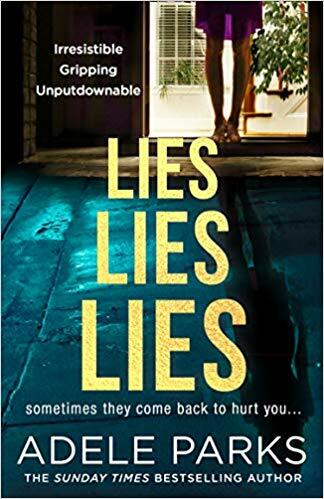 For years Juliette has had an unspoken issue with her erstwhile best friend Renee, which makes it awkward for the others, although no-one knows the real reason why. You can pre-order When We Were Friends from Amazon and will be available to buy from good bookshops from 23rd April 2015. If you want to know about this book, then you shoold check out the book tour, that will be taking place across these other websites.